Yoga has always been an exercise I’d do once every few months – in a bid to try and like it and become all ‘zen like’, but I always failed miserably. I knew the benefits – being stretchy, better posture and abs of steel. But I always felt like I was never pushed to the extreme like I was with spinning and running. Little did I know about Hot Bikram yoga. I’d heard the horror stories though – people fainting, quitting half way through and enough sweat to champion any spinning class – twice over! So you can imagine I had a slight fear of it. But in a bid to quell my nerves I spoke to Olga Allon- founder of Hot Bikram Yoga. And twitter lent a helping hand too, the night before worry gripped me again so I turned to twitter for last minute tips – ‘drink lots of water, that day and the day before – make sure you’re fully hydrated’. ‘Eat a good meal about 3 or 4 hours before the class’, and ‘Pick a good spot – close to the window, definitely not in the middle’. So with that in mind I made my way down to their London Bridge studio and yep you guessed it ignored all the advice, panicked and picked a mat smack bang in the middle of the room! As we started the 26 poses I felt okay – it wasn’t too hot, but as the poses got harder and sweat started dripping down my face on to my towel I got the fear in me that I couldn’t do it. ‘You can do this,’ I reminded myself as I took some deep breaths and the runner in me ‘keep going, you can do it’ convinced me that I couldn’t quit. After a while I settled into it, trying to concentrate on the poses and I even realised that I was more flexible than I thought I was. And by the time I left Id sort of convinced myself that I could do it again – well once I had a cold shower and gulped in the fresh air from outside. Waking up the next day I ached, but felt amazing – so I went crazy and booked their 20 day beginners package – what am I letting myself in for? 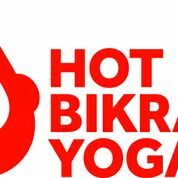 If you fancy giving it a go Hot Bikram Yoga have studios in London Bridge, Balham and Fulham.